Featuring an advanced electronic monitoring system, the Drager PSS 7000 represents a major breakthrough in the evolution of breathing apparatus, designed for the professional fire fighter. Its 3-point adjustable backplate and unique sliding and pivoting waist belt assembly allows quick and easy adjustment to conveniently fit the torso of any fire fighter while providing unrestricted movement and maximum comfort. The apparatus allows real-time monitoring of important information including cylinder pressure and time, which is communicated through a handheld electronic gauge and display. The Drager PSS 700 allows enhanced visibility owing to its reflective and photo-luminescent hose sleeves. 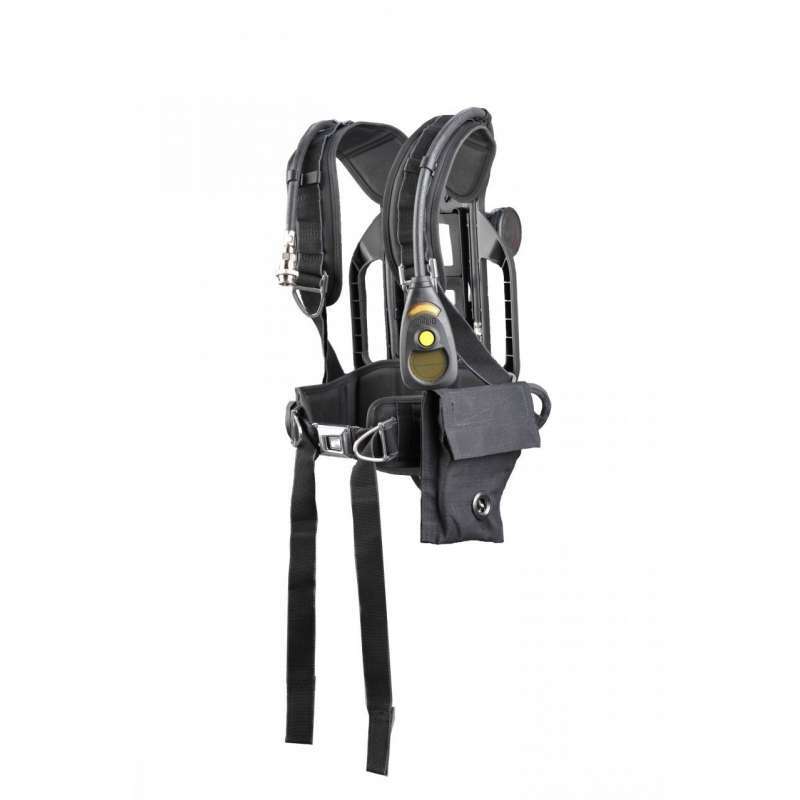 It also utilizes specially designed state-of-the-art harness material, including stainless steel buckles and an Aramid blend webbing that is highly resistant to wear and tear. The Draeger PSS 7000 has an integrated hose routing that protects it from physical damage while minimizing the risk of snagging. 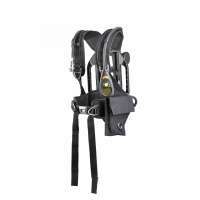 It can also be configured to any standard since it can be routed over the left and /or right shoulders. The apparatus is extremely easy to service maintain due to its shoulder and waist assemblies, coupled with its quick release pneumatics. It has a wide variety of accessories available and can be configured for many situations and environments. Its slide and lock shoulder straps significantly simplifies the maintenance of the apparatus, effectively reducing the cost of ownership. The Draeger PSS 7000 represents exceptional quality and design standards and can meet even the most rigorous firefighting demands. Fully compatible with the Drager Bodyguard 7000 electronic & signal warning device and the PSS Merlin telemetry system, this is an integratable system that is sophisticated yet easy to use and highly reliable.